Safety Requirements: Boats must meet safety standards as outlined in the Sailing Instructions. For more information, please contact Rota Race Chair Bob Bullock at bullozk@yahoo.com. 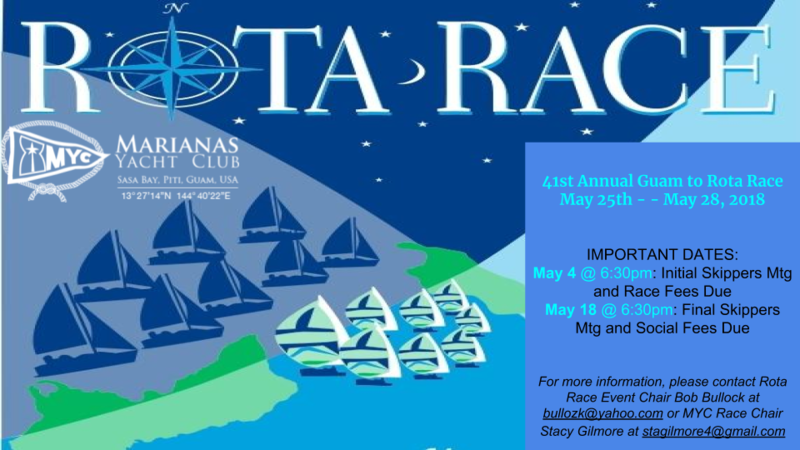 Please check www.marianasyachtclub.org for any revisions to the NOR, Registration Forms, and Sailing Instructions.